Who’s been at court in Scarborough so far this month? The following people have been sentenced during hearings at Scarborough Magistrates’ Court this month (Scarborough address unless stated). 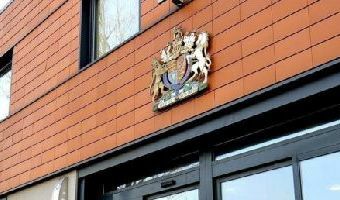 Benjamin Thomas Kay, aged 28, of Main Street, Flixton, was disqualified from driving for three years, fined £415 with £85 costs and a £41 victim surcharge, for drug-driving in Wykeham Street, Scarborough.Darren Bernard Nelson, aged 46, of Lonsdale Road, given a 16-week prison sentence suspended for 12 months, with £85 costs and a £115 victim surcharge for possessing four knives in public. There was no separate penalty for stealing footwear and a pair of gloves belonging to Age UK.Adrian Neil Smith, aged 27, of Wheatfields Court, Eastfield, given a 12-month conditional discharged and told to pay a £20 victim surcharge for being drunk and disorderly.Karen Josephine Stubbings, aged 52, of Lismore Road, given a 12-month community order and told to pay £50 compensation for assault by beating and theft of alcohol … [Read more...] about Who’s been at court in Scarborough so far this month?